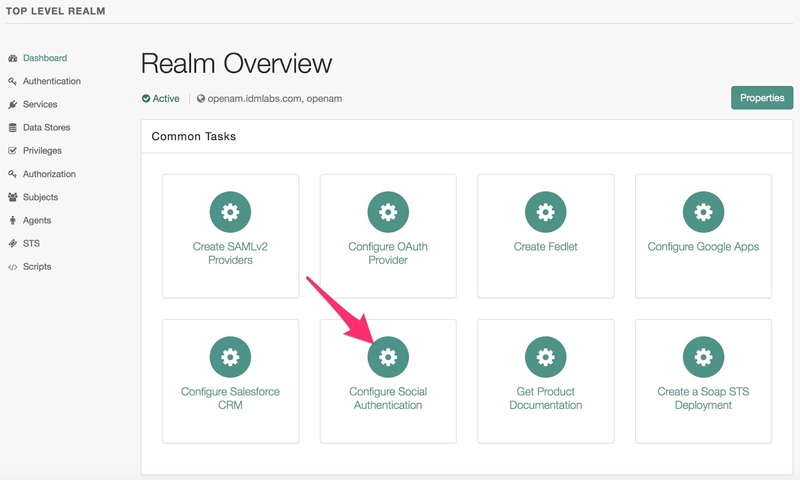 This is a quick guide to setting up Google as a social authentication module for OpenAM 13. Prerequisites are a working OpenAM13 environments and a google developer account. 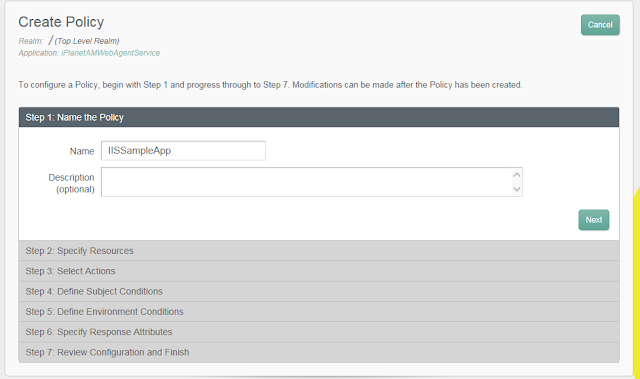 This will be needed to obtain a client ID and client secret that you will need to use when you configure the authentication module. Go to console.developers.google.com. Login with your google account. On the left frame, under API Manager, click on the Credentials link. On the APIs Credentials box, click on the ‘Create credentials’ and select 'OAuth client ID’. 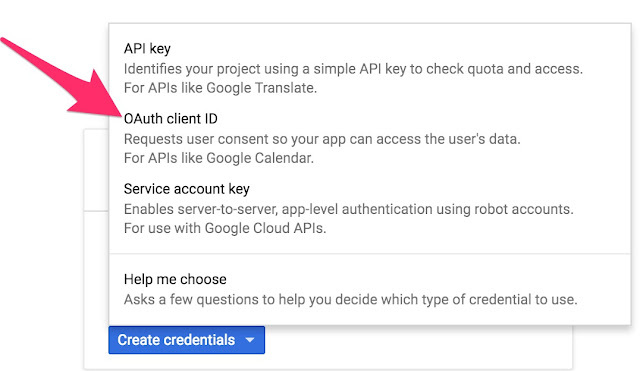 If this is the first application profile you create, you will be prompted to fill in some information related to the consent screen which users will see when they are asked to authenticate using their google account. Once the profile is complete and you click on save you will receive a pop up with the client ID and secret. Here you will copy the Client ID as well as the Client Secret. 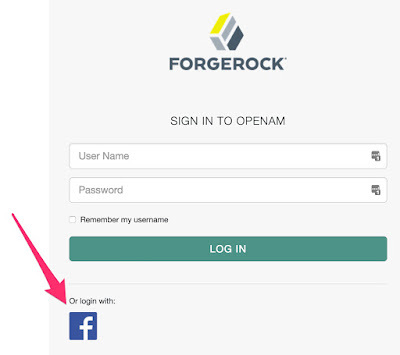 You will need both of these when configuring Google Authentication Module on OpenAM. Select the realm you intend on setting up social authentication module on. Enter the Client ID and Client Secret and click Create to continue. The Redirect URL is automatically populated. Once created you will get a success message. 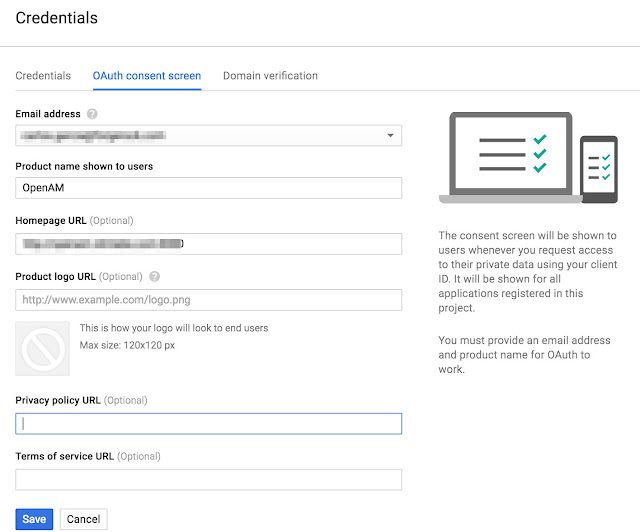 Expanding on the Authentication section and clicking on Modules will show a new ‘GoogleSocialAuthentication’. In addition a new chain is also created using this new module named 'GoogleSocialAuthenticationService’. 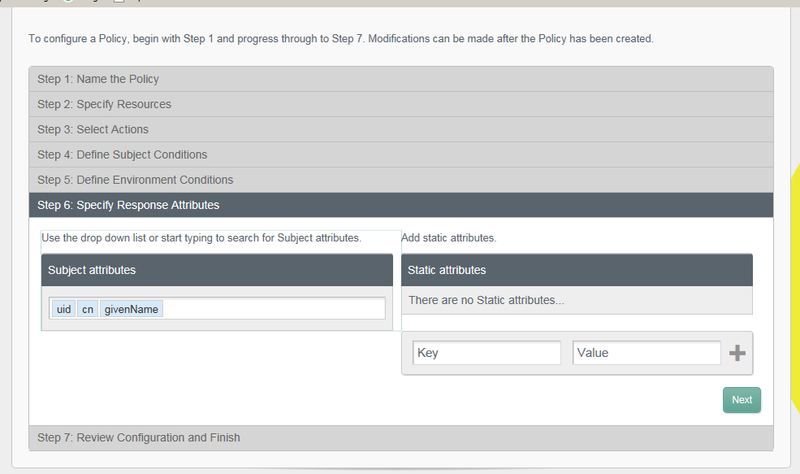 Click on the module to look at some of the default settings. With these two settings, users who successfully authenticate against Google will have a profile dynamically created in your data store. Your Google users will be pre-fixed with identifier “google-“ as shown in the attribute mapper. You can modify that here if you wish to remove or change that. 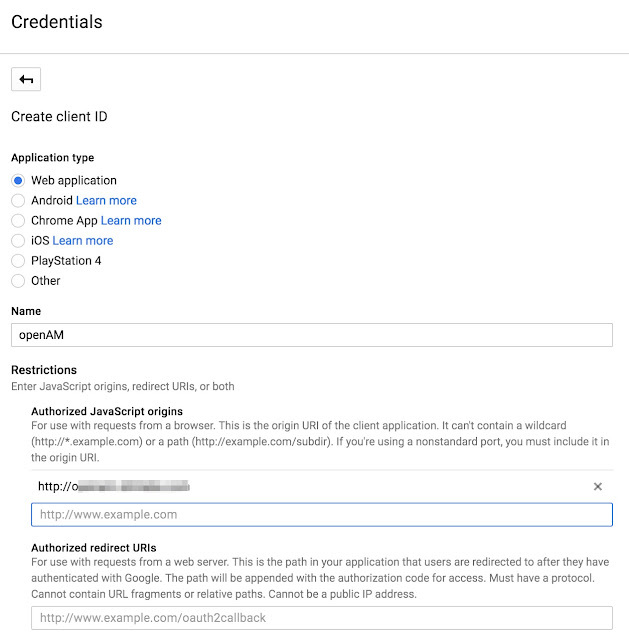 Simplest way to validate the Google authentication chain is to update the Authentication settings and make the chain the default Organization Configuration Chain. Test the authentication by going to http://host:port/openam. This should automatically redirect you to the Google authentication. Google’s consent screen will appear. 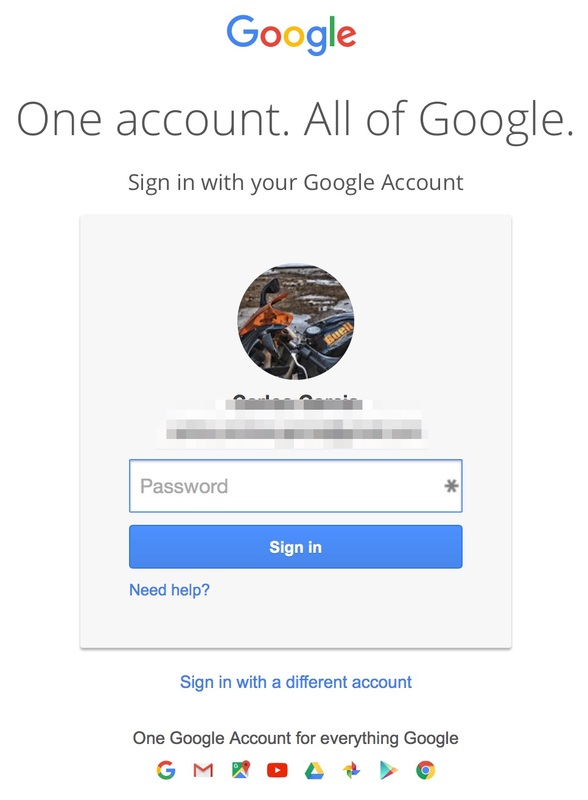 Once you allow and successfully authenticate with Google, you will be redirected back to OpenAM, have your profile dynamically created, and logged into the console where you will see your profile. Logged in as OpenAM admin user, search under subjects for the new Google created ID, you will see which attributes were shared from Google. 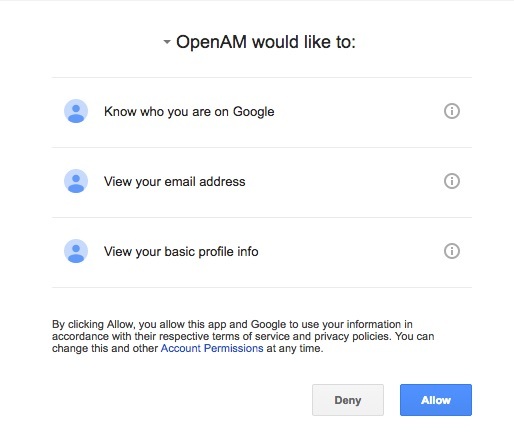 And that competes the setup for the Google Authentication module for use by OpenAM 13. 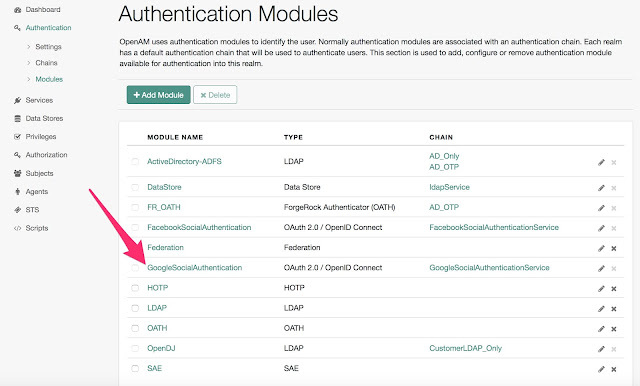 As with any module you don’t need to set it up as the default Authentication chain used by the realm. 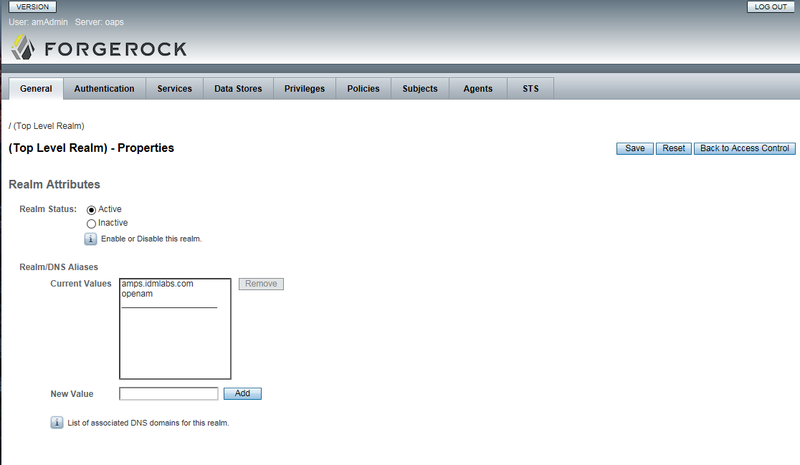 It can appear as an icon on the login page or you can invoke the authentication chain via REST for complete UI control. 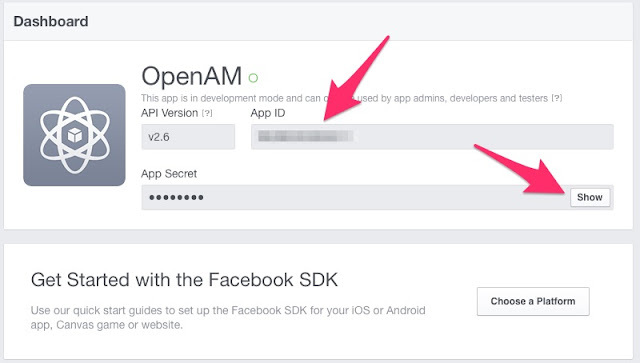 This is a quick guide to setting up FaceBook as social authentication modules for OpenAM 13. Prerequisites are a working OpenAM 13 environment. The other prerequisite is to have a developer account with Facebook. These will be needed to obtain a clientID and client Secret that you will need to use when you configure the authentication modules. 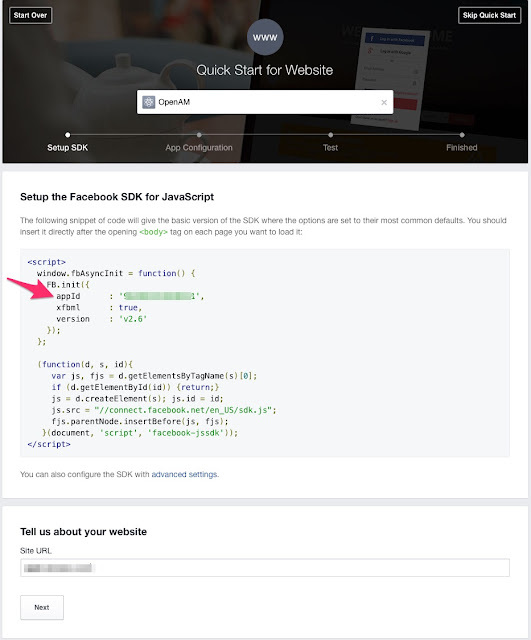 Go to developers.facebook.com. You might need to sign up to get access. Once authenticated click on the My Apps button next to your profile picture. You will need to enter an App Name as well as the Site URL. Note that an AppID will be assigned as part of the script that is supplied. This AppID will be shows again in next step, so no need to copy it yet. Click Next and continue. Click on the newly created application from the dashboard. Here you will copy the App ID as well as the App Secret. You will need both of these when configuring FaceBook Authentication Module on OpenAM. 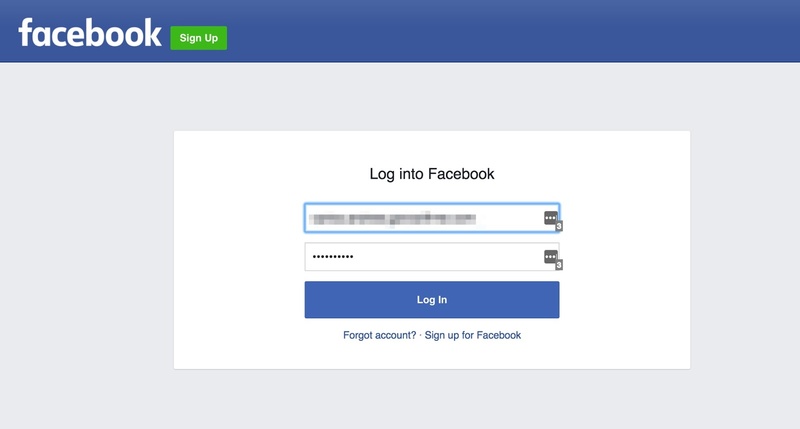 Enter the FaceBook App ID and App Secret and click Create to continue. The Redirect URL is automatically populated. Expanding on the Authentication section and clicking on Modules will show a new ‘FacebookSocialAuthentication’ module. In addition a new Chain is also created using this new module named FaceBookSocialAuthenticationService. With these two settings, users who successfully authenticate against FaceBook will have a profile dynamically created in your data store. Your Facebook users will be pre-fixed with the identifier "facebook-“ as shown in the attribute mapper. You can modify it here if you which to remove or change that. Simplest way to validate the Facebook authentication chain is to update the Authentication settings and make the chain the default Organization Configuration chain. Test the authentication by going to http://host:port/openam. This should automatically redirect you to the FaceBook authentication. Once you are successfully authenticated at FaceBook you will be redirected back to OpenAM, have your profile dynamically created and logged into the console where you see your profile. Logged in as the OpenAM admin user, if you search under subjects for the new Facebook created ID, you will see which attributes were shared from FaceBook. 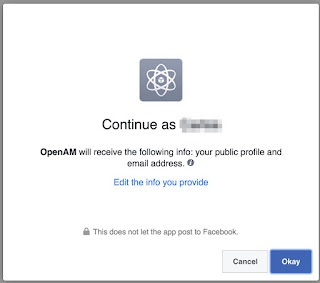 And thats pretty much all it takes to setup the FaceBook authentication module for use by OpenAM. Of course you don’t need to set it up as the default Authentication chain used the the realm. It can simply appear as a icon on the login page. You can also access the authentication chain via REST to completely customize your user authentication look and feel. Recently I joined ForgeRock as a senior consultant. After almost 15 years in the ops and integration world, working with SiteMinder, a bunch of peers have been asking me how SiteMinder compares to OpenAM and how they differ. So, now as a fully biased ForgeRock employee, I am documenting the process of translating that SiteMinder suite knowledge into OpenAM. 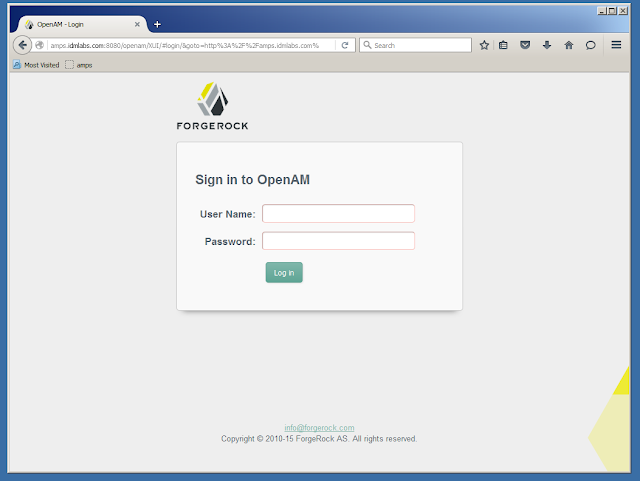 This assumes you have followed the previous steps and having a working OpenAM server. 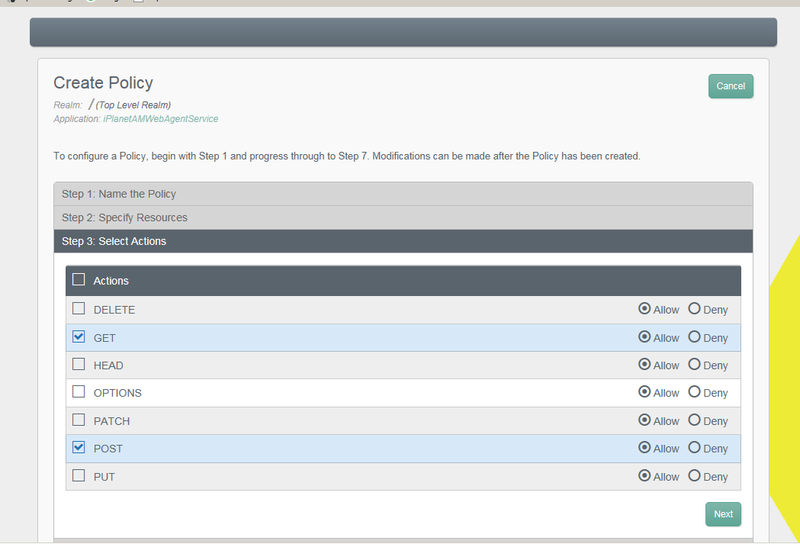 This blog will focus on creating a policy and installing and configuring an IIS agent. 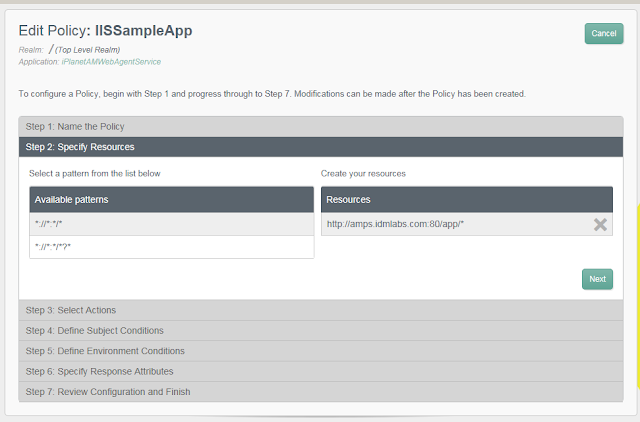 In this example, we will protect a simple html page on IIS. There is a protected page on /app/ that we want protected. The landing page will be at “/index.html”. From there, we will click on the member link which will send us to /app/home.html. When you install a SiteMinder Web Agent and enable it, it will not deny any access by default. Policy is required in order to protect any URLs. It follows a blacklisting philosophy. All is allowed unless blocked by policy. 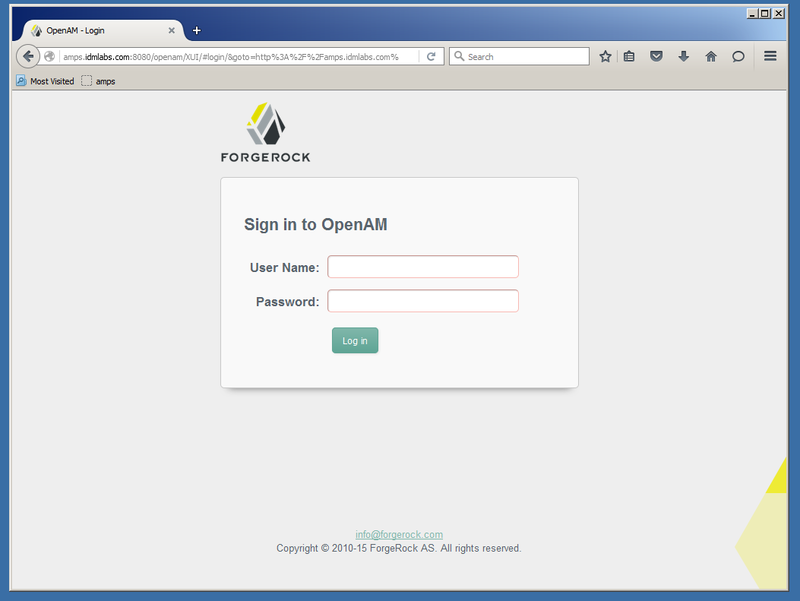 When you install a OpenAM Web Agent it is enabled by default and blocks access; redirecting to the openAM login URL. Agent configuration is needed to allow access to unprotected URLs. You would still be unauthorized after a successful authentication. You need to define policy to create the proper authorization rules to grant access. All is denied unless authorized by policy. Lets start by creating an authorization policy first. 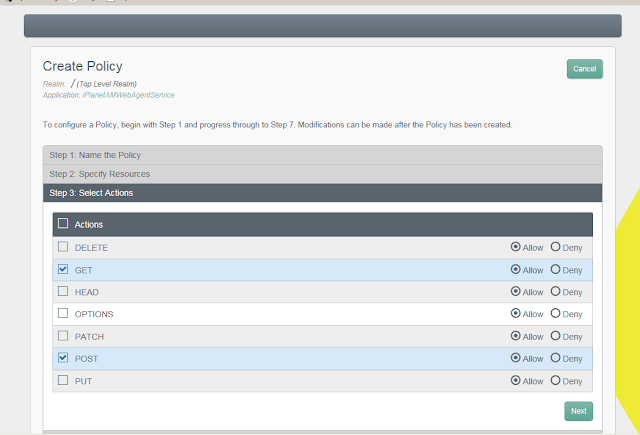 Next, click on the policies tab. Select the iPlanetAMWebAgentService. 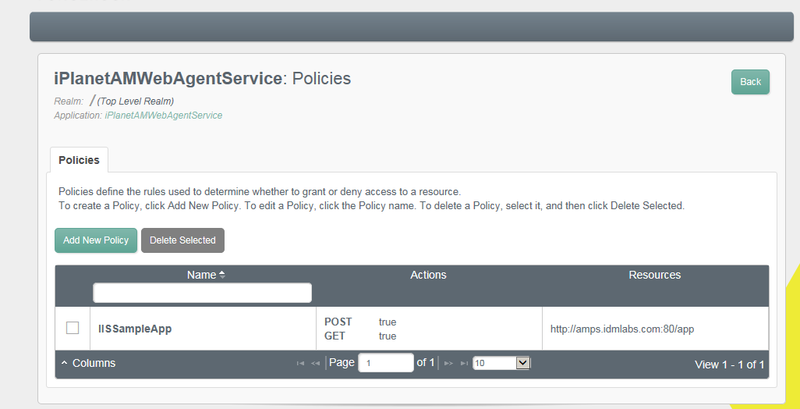 This is not a policy specific for apache or iPlanet based web servers. Its just a generic name created by default. You can rename it to anything you want. It is only a policy container object. Like a realm name within SiteMinder. 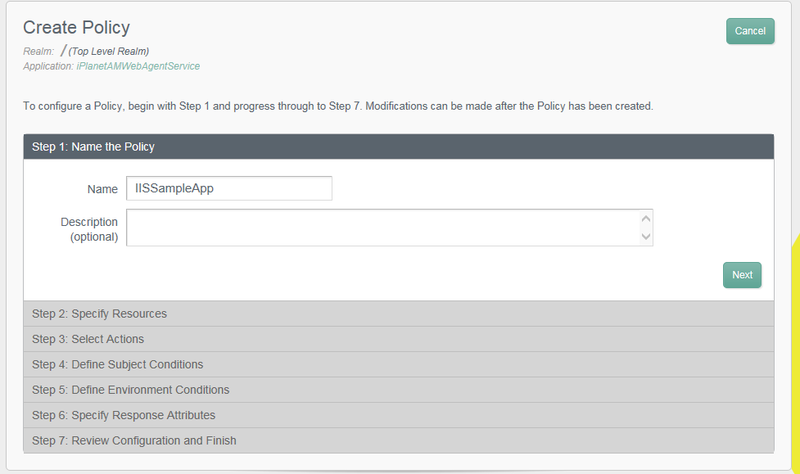 Once you have selected the Application, click on Add New Policy. Step3 - Select Actions such as Get and Post. Click Next. Step4 - Define Subject Conditions. 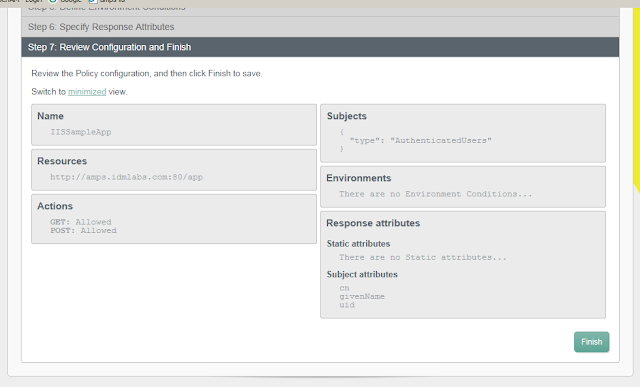 For our example, click on Subject condition and from the Type drop down, select Authenticated Users. Select the Grey box and drag it up to the “AND” table. Click on Next. Step5 - Define Environmental Conditions. We can skip for this exercise but review this section for the many options you have. Click Next to proceed. Step6 - Specify Response Attributes. This defines all the response attributes that the policy allows based on a successful decision. The agents can then be configured to select which of the allowed attributes it actually passes to the application. While not needed for this exercise, click on the Subject attributes and a drop down of all ldap attributes will be shown. Click on any attributes you wish to use. Click Next to continue. 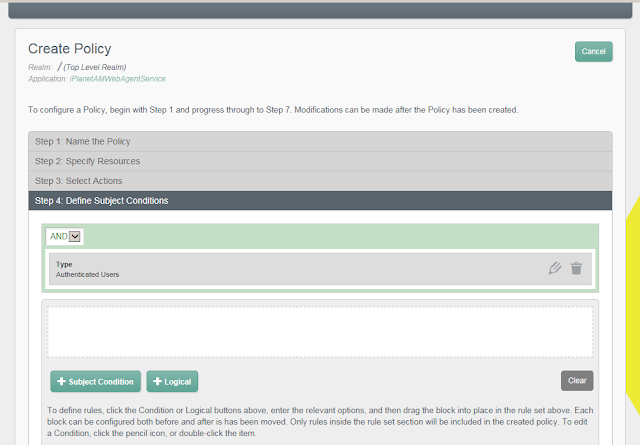 Step7 - Review and click on Finish to complete the policy. 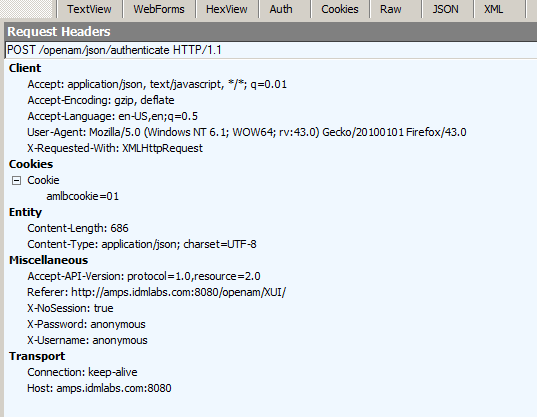 Click on OpenAM Console link on the top right hand corner. Next, let’s create a web policy agent profile. If not already there, go to Access Control-> / (Top Realm) and click on the Agents tab. Click on New. Back at the Web Tab, the new IISAppAgent is listed. Click on your new agent. Click on the Application Tab. Under “Not Enforced URLs, enter a new value for the landing page of your sample app. In this case i can enter the FQDN to my index.html file and every other file i have at that directory level that I don’t want protected, or use wildcards. Since i also have a logout.html files i will use later, i will add *.html as the files to be ignored at that directory level. Make sure you select Enabled and Save. Next click on the OpenAM Services Tab. Scroll down to the Agent Logout URL. This is like the SiteMinder ACO setting for LogoffURI. Enter the URL to your logout page. This will kill the OpenAM session when invoked. Make sure you click on Save. Next, let’s configure your authentication source. 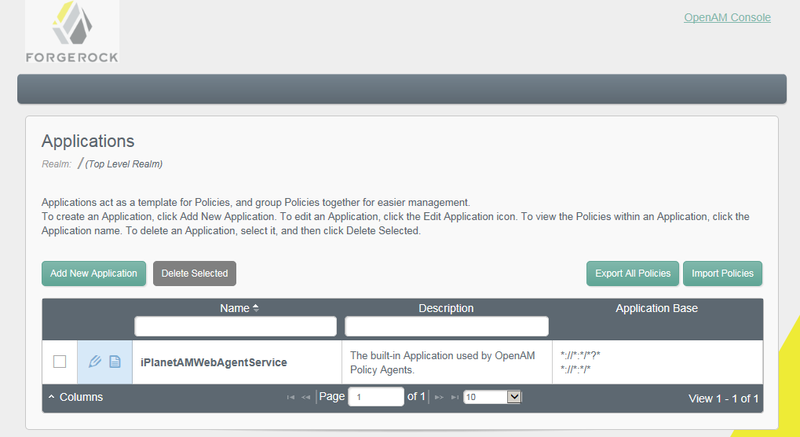 When we first installed OpenAM, we defined a policy configuration LDAP instance as well as an user LDAP. the amadmin user exists within the policy configuration LDAP instance. This can be modified to disable this root account and promote unique users as OpenAM administrators. For this exercise, i am leaving the default root user. However, we want to leverage existing users in our user LDAP instance. The plan will be to continue to use the config ldap repository for administrative tasks (allowing us to login with amadmin), but have the realm authenticate against the user LDAP for authentication and authorization of our integrated apps. When a required module fails, the rest of the chain is processed, but the authentication fails. A required module might be used for login with email and password, but then fall through to another module to handle new users who have not yet signed up. When an optional module fails, authentication continues. 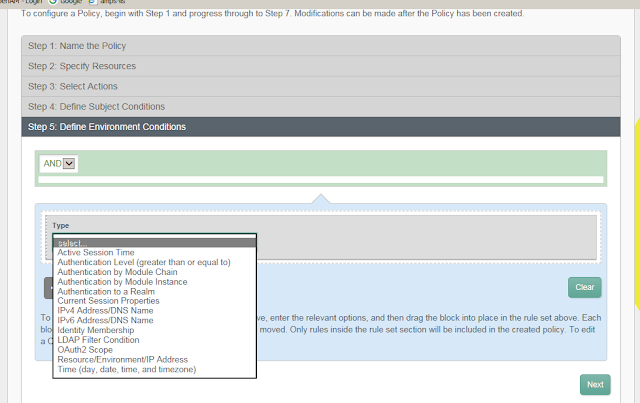 An optional module might be used to permit a higher level of access if the user can present a X.509 certificate for example. When a requisite module fails, authentication fails and authentication processing stops. A requisite module might be used with exclusive SSO. When a sufficient succeeds, authentication is successful and later modules in the chain are skipped. You could set Windows Desktop SSO as sufficient, so authenticated Windows users are let through, whereas web users have to traverse another authentication module such as one requiring an email address and a password. By default, one Authentication Chain is created. It only points to the internal config LDAP instance. The task will be to create a new Authentication Chain used by the user LDAP instance. Once created, the User LDAP chain will be used for authentication and the config LDAP will be only for Admin access. The default chain is called ldapservice. For personal preferences I updated this one to use the User LDAP and created a new one called datastoreService for the config LDAP. From the main OpenAM console, click on Access Control Tab, then click on the / (Top Level Realm). Click on the Authentication tab and scroll down to Authentication Chaining. 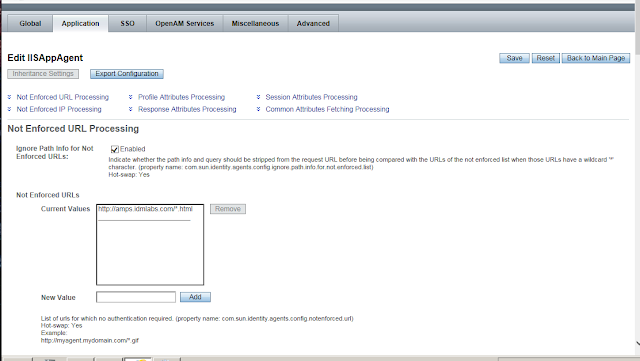 Click Add and from drop down select LDAP. Under Criteria, select REQUIRED. Select the DataStore and Remove. Click Save and Back to Authentication. Why Select LDAP? If you go back and look at the Module Instances, and select LDAP, you will see it is configured against the User LDAP instance configured at the time of OpenAM installation. You can add as many Modules as needed and add as many to Authentication Chains. Back to the Authentication Chaining section, click on New. Enter the name of your new Authentication Chain, in my example, datastoreService. Click on OK. You will be taken to the Properties Screen. 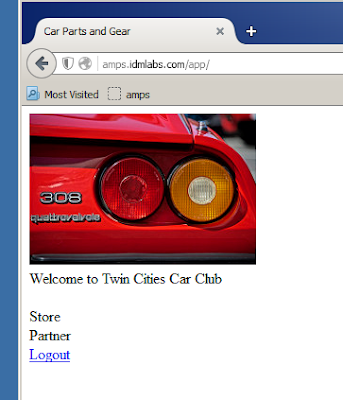 Click ADD and select DataStore. Under Criteria select REQUIRED. Next we assign the Authentication Chains properly. Under Core services, there are two drop down options. One is for Organization Authentication Configuration and the other is for Administrator Authentication Configuration. The Organization Authentication Configuration services when users access /openam/UI/Login. This is the default Authentication Chain for users. 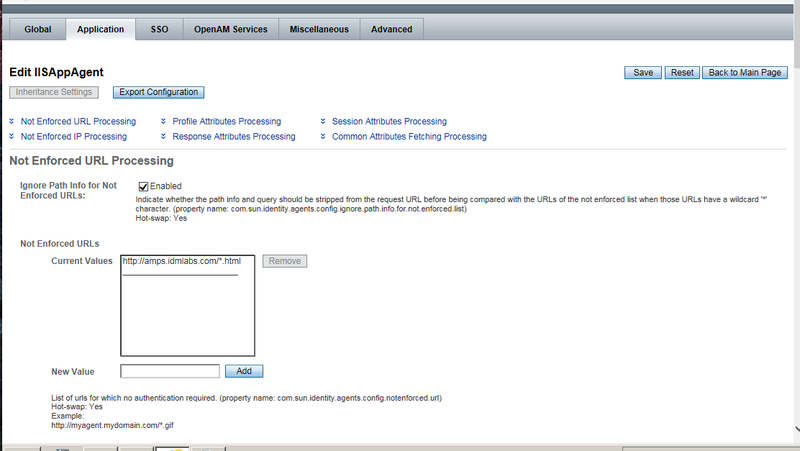 The Administrator Authentication Configuration serves when users access /openam/console. This is the default Authentication Chain for administrators. Select the appropriate chain from the drop down for each. Click on Save and Back to Access Control. If you try to login as an admin to http://:8080/openam you will get an user/password error. This will be expecting the Organizational Authentication Chain. 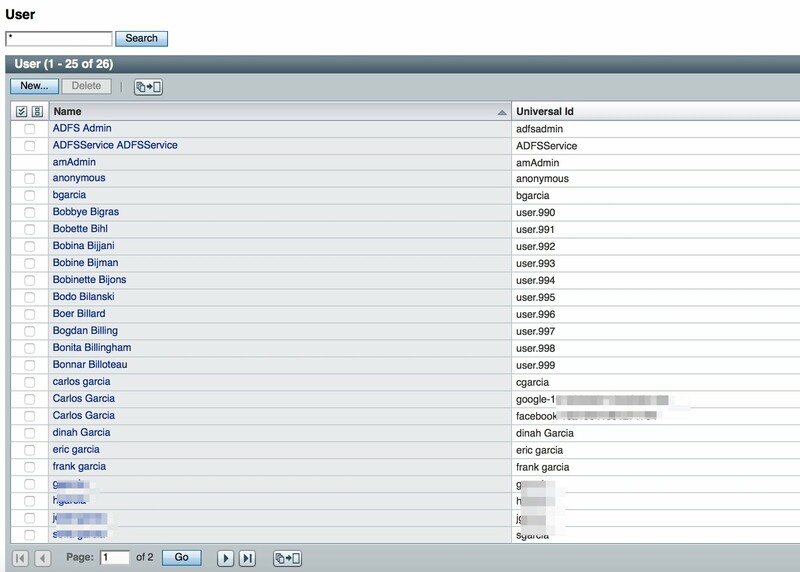 To login to the admin console, you need to start using http://:8080/openam/console. Next step is to install the agent on IIS. If you haven’t already, download the IIS agent. Create a temporary password file. c:\pwd.txt. It should contain the agent password previously created. Make sure you delete this file when done registering the agent. Stop IIS instance. “iisreset /stop” Expand the web agent zip file, for example, i have mine at c:\web_agent. Enter the Site ID from the located IIS instances. Enter 1 for DEFAULT WEB SITE in our sample case. You will see an error next on ssleay32.dll and libeay32.dll missing. This is only needed if you are running IIS secure. For this sample, we are running HTTP. Just click on enter as this is a fresh install with no existing properties file. If you had one created already, it can be used for any additional web server agent installs. Agent profile name is the same as the one created on the policy server. In my example, IISAppAgent. Finally, enter the path to the temporary password file. Confirm the parameters and enter ‘yes’ and enter to proceed. Now go to your landing page. http://amps.idmlabs.com/index.html. My index.html page is extremely simple. Click on “Members Login” and it sends you to http://amps.idmlabs.com/app/home.html. You should be re-directed to the OpenAM Login screen. Similar to SiteMinder the URL will include the redirect parameters to the target URL. Login with any valid LDAP user. The authorization policy was defined as “Any Authenticated User”. 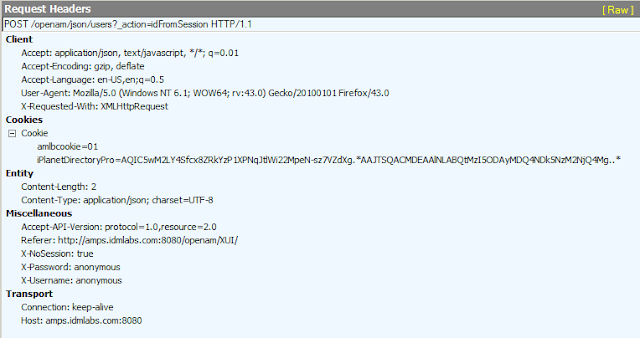 Using Fiddler or any other web tracer, look for the OpenAM Session cookie. It is called iPlanetDirectoryPro. This cookie contains the OpenAM Session Token. It is the equivalent to SiteMinders SMSESSION. 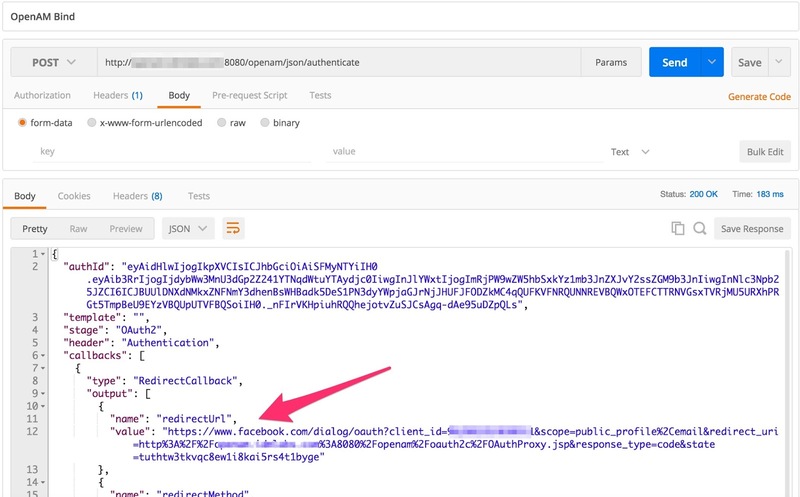 This Fiddler snippet is from OpenAM initiating the authenticate call. 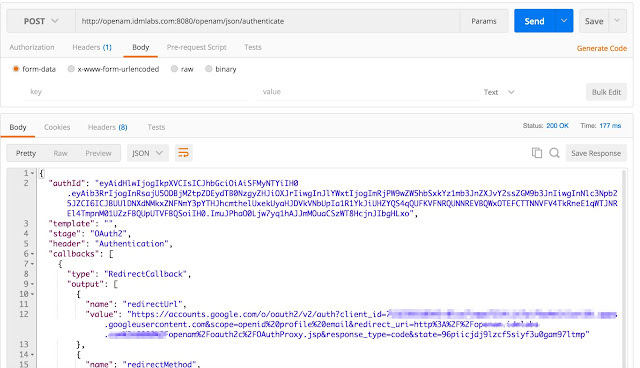 Notice POST URL of /openam/json/authenticate. 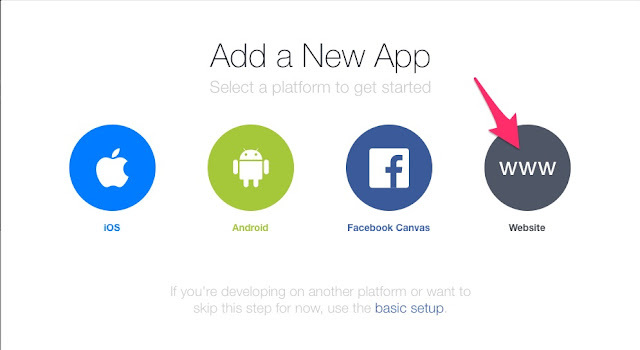 There are additional steps you view on fiddler, however you will see the redirect to /app which is our target URL. Notice the POST URL with an action of logout for the session. The session is invalidated and we are redirected to a logout screen. Following Fiddler, you should not see the iplanetdirectorypro session anymore. Easy enough? This concludes the basics on setting up OpenAM from the point of view of an old SiteMinder Admin. 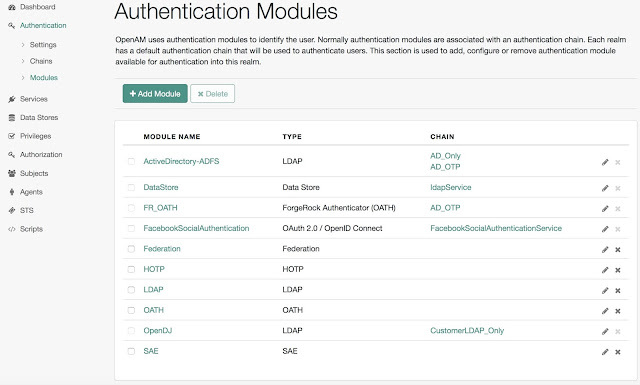 In the future i will continue to use this platform to show how configure additional features such as Advanced Authentication, Federation, using REST, and more; all from this same deployment without the need of additional OpenAM components. Ok, so feel free to now try it for yourself. 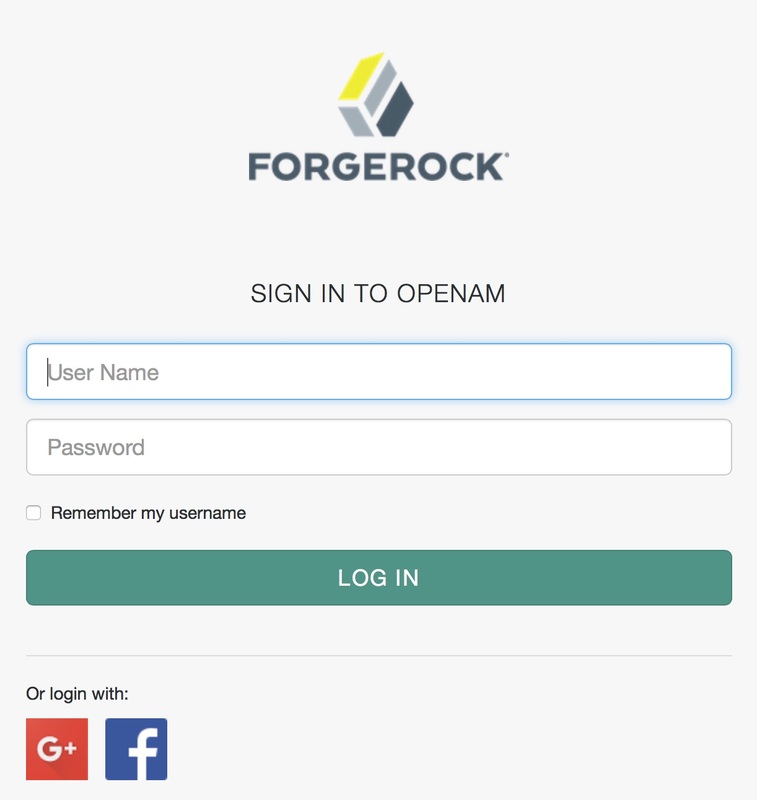 Download the software at https://forgerock.org/downloads/ and discover the differences and simplicity of the ForgeRock platform.